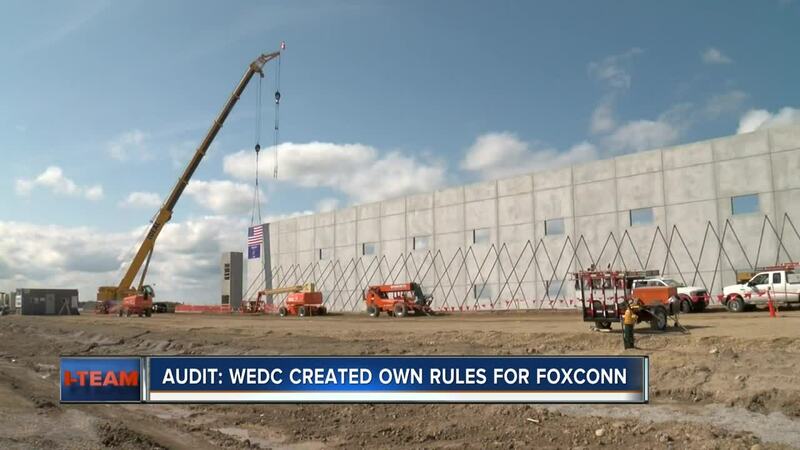 A Wisconsin Legislative Audit Bureau (LAB) review of the Wisconsin Economic Development Corporation (WEDC) found the agency created a policy which would allow Foxconn to receive taxpayer dollars for employees not working in Wisconsin. The LAB found WEDC made new policies on its own, which would allow WEDC to count remote workers or other employees serving the Wisconsin Foxconn operations, even if they don't physically work in Wisconsin. But according to the review, state law requires WEDC only give money for services performed in Wisconsin. WEDC responded to the report, challenging that perception. Their letter said in part, "WEDC believes these services are being performed in Wisconsin because they are being directed by Foxconn's operation." Speaker Robin Voss said the state shouldn't give tax credits for work done outside the state. "I certainly think that legislators are going to expect that gets corrected as soon as we can so that not a dollar goes out for job that's not created in the state," he told TODAY'S TMJ4's Charles Benson. In its response, WEDC said it will report to the audit committee by the end of January with more information about how it's going to adjust it's process.